The National Cancer Institute advises regular oral cancer screenings. Drs. Dory and Khalida Stutman, dentists at South Shore Dental Care in Massapequa, wholeheartedly agree. Why is this simple and painless evaluation important? The facts are these: oral cancer can be deadly, but caught early, it is treatable for 80 to 90 percent of those diagnosed. Your dentist plays a significant role in keeping your mouth healthy and in spotting serious problems before they threaten your well-being. Oral cancer affects Americans with approximately 48,000 new diagnoses each year, says the Oral Cancer Foundation. Unfortunately, five-year survival rates are low when the disease is already in its advanced stages when discovered. ENT (ear, nose and throat) physicians, oncologists (cancer doctors) and dentists, such as Dr. Dory and Khalida Stutman, agree that survivability and cure rates increase when cancer is found early on in its development. However, left undetected, oral cancer kills half of its sufferers within five years. Also, the American Dental Association says that oral cancer risk increases with age. Every time you come for your regular exam and cleaning at South Shore Dental Care, the doctor will examine you for signs of oral cancer. Don’t worry. It’s what you don’t know that can hurt you. Fortunately, the staff at South Shore Dental Care is diligent about this routine cancer screening. 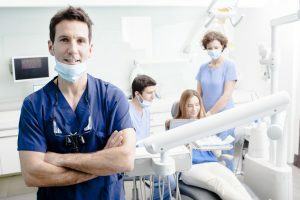 The dentists are passionate about getting to know their patients, and their medical histories, so they are on the alert for developing pathologies. When Was Your Last Oral Exam? If you are due, or overdue, for an oral exam and professional cleaning, please contact Shore Shore Dental Care today to speak with our friendly office staff. We have plenty of appointments, including openings on two Saturdays a month. We can find a time convenient for your busy schedule. by: South Shore Dental Care at June 6, 2017 .